Holding students back a year sets them up for dropping out of school. Young adults who drop out are at higher risk for social and health problems later in life. Professors Jan N. Hughes and Stephen G. West of Texas A&M University and Arizona State University, respectively, have completed a 14-year longitudinal study of grade retention, providing the strongest evidence to date that retention in the elementary grades impairs students’ odds of completing high school. Every year, hundreds of thousands of children in the United States drop out of high school without obtaining a diploma. Dropping out of school is a major concern for educators and policymakers as it is detrimental, not only to the child, but to society at large. Adults without high school diplomas or general education development certificates (GED) frequently have lower paying jobs and are more likely to be unemployed, on government assistance, or in prison. Even when incomes are equal, high school dropouts are often in worse health than their peers with diplomas. Dr Jan Hughes, an expert in childhood development and educational attainment and Dr Stephen West, a prominent specialist in statistical methods applied to psychological and social data, have engaged in a 14-year longitudinal study to describe factors that contribute to high school dropout. 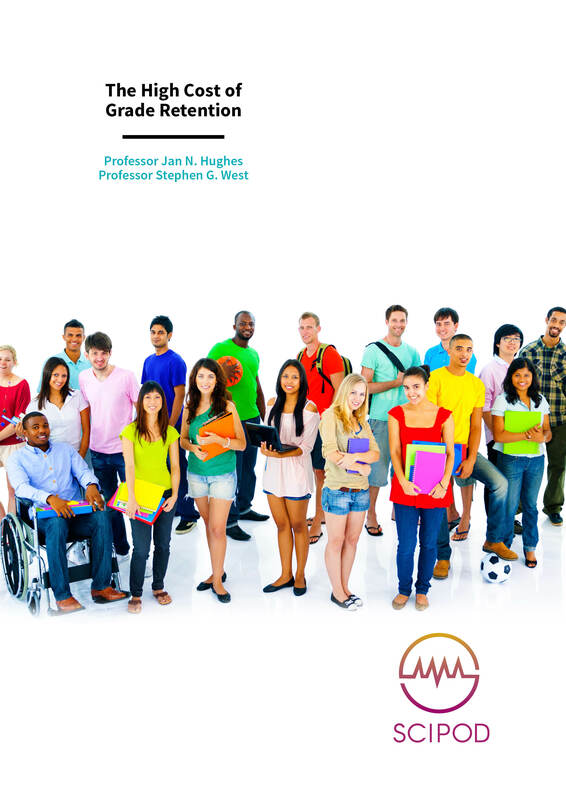 The key factor that Drs Hughes and West have chosen to focus on in their work is the practice of grade retention or holding underperforming students back a year in the hopes of bolstering their performance and ensuring they are prepared for the more advanced materials they will encounter in the next grade up. 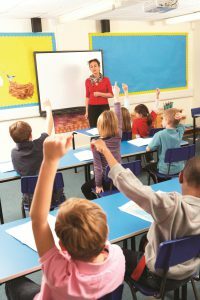 While the practice is well intentioned, it has attracted criticism from many educational experts, as retained students often continue to struggle academically and drop out of school at a higher rate than students who are promoted. Grade retention is a common and expensive educational intervention. In the 2015-16 academic year, nearly 38,000 students attending Texas public schools were retained in grade – they stayed in the same grade for two consecutive years. The cost of that extra year of schooling, based on the state average expenditure per student, was over $384M. However, the highest cost of grade retention may be its negative impact on high school completion. Research on the effects of grade retention on educational attainment has been on-going for decades; yet strong empirical evidence of the effects of grade retention – especially on long-term educational attainment – has been lacking. The primary problem in prior research is a failure to provide unambiguous evidence that grade retention is the cause of subsequent academic performance, rather than merely a marker of pre-existing differences between students who are subsequently retained and those who are promoted. Due to these confounding factors, in 2001, when Drs Hughes and West first embarked upon their study of the effects of grade retention, very little was known about the long-term effects of the practice, despite its common use in the United States. Understandably no parent would agree to place their child in a controlled study where children are randomly assigned to repeat a grade or to be promoted. Absent such a controlled experiment, the best approach would be to conduct a longitudinal study on a large group of first grade students, none of whom had previously been retained in first grade, and to follow these children for at least 14 years, giving students 14 years to complete grade 12 or earn a GED. Prior to any student being retained, data covering a wide range of variables that are associated with both grade retention and future educational attainment would be obtained, and the study would use cutting-edge statistical methods to control for potential confounding variables, such as low academic achievement and socioeconomic status, thereby isolating the effects of grade retention alone. Dr Hughes explains, ‘prospective, longitudinal studies of students over the entire course of their public schooling are extremely rare. Such studies are very expensive, due to the cost of tracking students who often move out of their beginning school district and conducting annual assessments. Obtaining continuous funding for 15 years is also difficult. 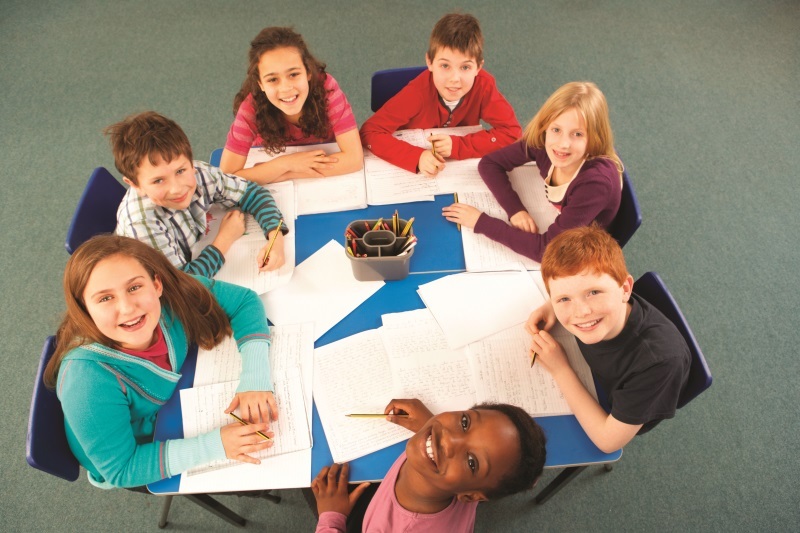 Yet longitudinal studies are critical to understanding the short-term and long-term impacts of students’ experiences at school.’ With funding awarded to Dr Hughes from the National Institute of Child Health and Human Development (NICHD) for 15 years, Drs Hughes and West set out to do just that. The pair recruited 784 academically at-risk first grade students who were enrolled in one of three Texas school districts in the fall of 2001 or 2002. Collectively, the population of these schools was demographically similar to that of the first-grade population in Texas. Participants were selected on the basis of having scored below average on a test of literacy at the end of kindergarten and having parent consent for study participation. Prior to any student being retained, they obtained extensive data on their academic, behavioural and social-emotional functioning from teachers, parents, and classmates through questionnaires and school records, as well as from direct testing and interviewing of the children. Importantly the team went to great lengths to follow all students for 14 years, using student identification numbers to locate families that moved to other school districts both inside and outside Texas. They tracked students’ academic progress and conducted annual assessments of students’ academic achievement as well as their social and behavioural adjustment. At the end of the first 5 years of the study, elementary grade retention status was available for 734 students (93.6% of the original sample), a very low attrition rate over 5 years given the high mobility of the sample. Of these students, 256 were retained during grades 1-5 and 478 were continuously promoted. At the end of 14 years, 477 had graduated, whereas 110 had dropped out, 21 had obtained their GED, and 126 had a graduation status of unknown. The team also amassed a wealth of data on the students’ academic achievement, educational motivation, psychological adjustment, and relationships with peers and teachers. They were then able to use this information to draw broader conclusions about how grade retention affects students’ academic achievement and school adjustment at various developmental stages. Common belief has held that grade retention negatively affects the well-being of students, but Drs Hughes and West reached a more nuanced conclusion. Their yearly assessments illustrated that through grade 9 – typically age 14-15 for students promoted in the elementary grades and 15-16 for students retained in the elementary grades – students who had been held back a year in the elementary grades were just as well adjusted as their matched but promoted students. Retention had not harmed children’s peer relationship, academic achievement, conduct, or educational motivation. However, despite the appearance of no effects of early grade retention through grade 9, students who had been retained a grade during grades 1-5 were 2.67 times more likely than their continuously promoted peers to drop out rather than complete high school. Because the study effectively removed differences between retained and promoted students on 65 relevant variables measured at baseline, prior to any student being retained, the study provides the strongest evidence to date that early grade retention is a cause of dropping out of school and not merely a correlate of baseline differences in retained and promoted students. Early grade retention did not have an effect on dropping out of school versus obtaining a GED. While the team’s studies indicated that retention during grades 1 through 5 had little effect up to grade 9, the transition to high school, occurring at grade 9, appears to be a critical juncture for dropping out of school. The transition to high school is difficult for many adolescents, with sharply increased academic demands, but the transition is particularly perilous for students who have previously been held back during their primary education. Dr Hughes suggests that, ‘many grade 9 students struggle to earn the credits necessary to advance to grade 10.’ Yet previously retained students, in contrast to their matched but promoted peers, typically turn 16 (not 15) during or shortly after grade 9. At age 16, under certain conditions, Texas youth can work full time or leave school to pursue a GED. With 4 or 5 years till graduation and that not a certain outcome, many retained students choose to leave school when 16. Throughout, the 14 years of the study, Dr Hughes and her team have found that a supportive relationship with teachers increases students’ academic engagement and achievement. 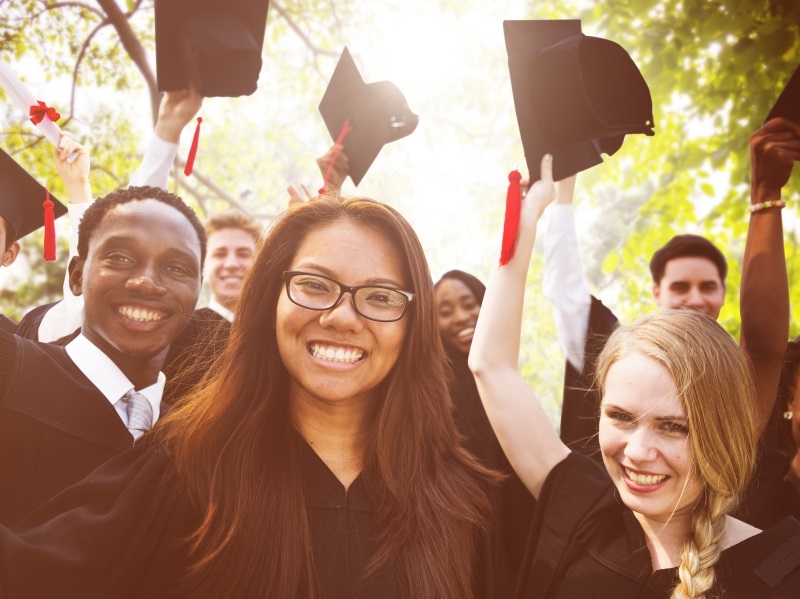 Dr Hughes summarises, ‘these results suggest that policies and practices that increase academic and social supports at the critical 9th grade year could increase school graduation rates. 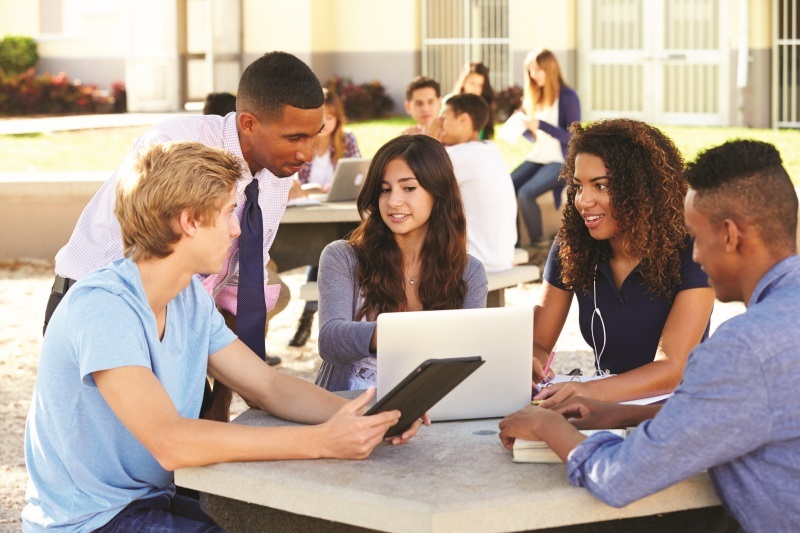 Several comprehensive school reform efforts that focus on increased supports for entering freshmen have shown promise in increasing rates of promotion to grade 10 and graduation.’ These programs focus on smaller, more personalised learning communities for freshman students and pre-emptive support for students at risk of failing classes. They also include a more targeted curriculum for helping students catch up on course credits. Professional development for teachers that provides training for building supportive student relationships and adapting teaching plans for the needs of students in a given course are also recommended. Dr Hughes notes, ‘given the harm to students and costs to society associated with failure to obtain a high school diploma, alternatives to grade retention are needed for students who struggle to meet minimum grade level competencies in the elementary grades.’ Promising are multi-tiered models of intervention, which involve a graduated series of evidence-based instruction and intervention to students who begin to fall below grade-level expectations. These intervention models include (a) universal screening for academic or social-behavioural difficulties; (b) the provision of early and intensive evidence-based interventions for students encountering difficulties; and (c) frequent progress monitoring and evaluation of interventions. Dr Hughes hopes that the data collected from this longitudinal study of an ethnically diverse sample of children from grade 1 for 14 years will live on through the work of other researchers. As such, it has been made publicly available through the National Institute of Child Health and Human Development’s website. The title of the NICHD study found at https://dash.nichd.nih.gov/study/14412 is, ‘The Impact of Grade Retention: A Developmental Approach.’ Statisticians and social scientists are invited to comb through the data, analysing it from new angles for hidden insights, relating it to their own work. 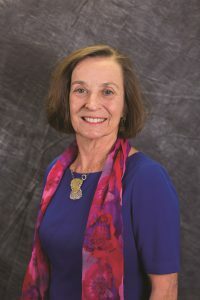 Jan Hughes is Professor Emerita in the Department of Educational Psychology at Texas A&M University, in College Station, Texas, where she held the positions of Associate and Full Professor from 1984 until 2015. Her research has focused on the dynamic interaction between children’s social and emotional development and their school success. She was awarded the Texas A&M University Distinguished Achievement in Research award and the American Psychological Association Division of School Psychology Senior Scientist Award (a lifetime award for research). She has also received the College of Education and Human Development awards for distinguished achievement in the areas of teaching and mentoring. A licensed psychologist, she has provided and supervised clinical psychological services to children, youth, and families for 38 years and held a number of offices within the American Psychological Association, including President of the Division of School Psychology. Stephen G. West is Professor of Psychology at Arizona State University and Gast Professor of Methods and Evaluation at Freie Universität Berlin. 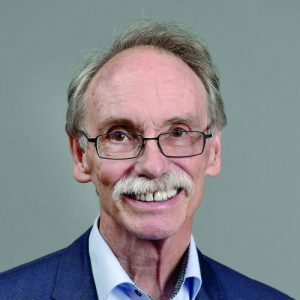 He has received three lifetime contribution awards from learned societies, as well as the Alexander von Humboldt Foundation (Germany) senior Forschungspreis (research prize) for lifetime contributions to quantitative research methods. He has served as President of Division 5 of the American Psychological Association and President of the Society for Multivariate Experimental Psychology. He has also received awards for graduate teaching and mentoring. During his career he has served as editor of the Journal of Personality, Multivariate Behavioral Research and as associate editor or editorial board member of these and several other journals in the behavioral sciences. His work has been in the area of quantitative research methods with applications in education, health, mental health and personality.